The heavy wooden shutters of this 17th-century baroque mansion open onto Garachico’s idyllic tree-shaded square, where backgammon battles and languid coffee breaks continue at all hours. Two storeys of bedrooms mark out an interior courtyard; some have lava stone walls, all have polished wooden floors and tiled en suites with large walk-in showers. Fill up on a breakfast of local goat’s cheeses and cold meats before grabbing one of the complimentary mountain bikes and heading for the hills of the nearby Teno Rural Park. There are only 28 villas at this lovely hotel sandwiched between the mountains and the sea, each with a private plunge pool. There’s also a main hotel pool and a spa with hot tub, waterfall, waterbeds and ice fountains for more wallowing. The opulent decor has a distinct Asian style, with rich fabrics and plenty of carved wood inside, and lots of floaty white curtains outside. If you want a break from the gourmet restaurant, there’s also a more casual pub on the premises. A simple wooden door opens on to a flamboyant Moorish palace in the centre of La Orotava. In the central courtyard, slender columns reach up to keyhole arches, all ornately carved, while the living and reading rooms are adorned with frescoes and antique furniture. In the bedrooms, Juliet balconies come with views of Teide, while the en suite bathrooms are more bathhouses, featuring sunken tubs and florid blue and white tiling. The breakfast room feels like a friend’s kitchen and there’s a small outdoor pool. Tucked away on a banana plantation halfway between Alcala and Los Gigantes, this tranquil retreat has seven simple double rooms with terracotta-tiled floors, wrought-iron bedsteads and sea views, and four suites with views over to La Gomera. The swimming pool feels like a tropical oasis, banana trees waving behind the sunbeds, and the beach is just a 900m walk through the grounds. Simple meals are served in the restaurant, its chunky wooden tables surrounded by — you’ve guessed it — more banana trees. The oldest hacienda in the Canaries was once a sugar cane plantation and has been decked out accordingly, its bedrooms featuring sloping ceilings, teak floors and canopy beds layered with white linens. Today, its banana trees can be seen from your window, along with the Atlantic Ocean, though in winter you may well turn towards the log fire in the lounge instead. There’s also a heated outdoor pool, indoor whirlpool bath and Turkish hammam. Perfect for hikers, this 19th-century inn is surrounded by Gran Canaria’s loftiest peaks — you may even have a view of Roque Nublo from your window. Rooms face across the valley, their light stone walls bathed in natural light, while the communal terrace is such a suntrap that on hot days you’ll be beating a retreat to the shady courtyard at the hotel’s centre. The abundant breakfast features local produce. Further along the village’s main road, the hotel also has apartments for self-caterers. Your head will be in the clouds at this hilltop beauty, one of the Canary Islands’ larger rural hotels, perched on a bluff overlooking a lush valley enclosed by sheer volcanic peaks. It’s all about that view, the tasteful rooms a masterclass in understatement, with tiled floors, warmly painted walls and wooden furniture. Facilities are what you might expect from a large resort, with multiple swimming pools, a tennis court and spa area, but the service is excellent. Corralejo isn’t just another resort; it’s a real town where you’ll see local kids learning to sail and long-time residents meeting at the cofradia (fishermen’s cooperative). The adults-only Avanti gleams at its centre, its walls, floors and furniture all brilliant white. The sun-filled bedrooms are decked out in seaside chic, with bright blue window shutters opening on to sea views, and a cocktail shaker, ice and lemon provided for mixing minibar sundowners. Some have private terraces – book the “Unique” studio for wraparound Atlantic views. There’s a four-person hot tub and sunloungers on the roof terrace. Near by you’ll find the beaches of the Dunas National Park. The cockerel will wake you up at this 19th-century volcanic stone home surrounded by cactus plants and wildflowers. Inside the nine bedrooms, the volcanic stone walls are warmed with dark wooden furniture, canopy beds and flowers, while outside you’ll find a pool and views of the island’s arid interior peaks. There’s an on-site shop selling local cheeses and the restaurant is a decent option if you don’t fancy driving to nearby Corralejo or El Cotillo for dinner. 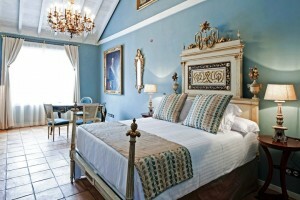 People return to this authentic Canarian casa because of the charmingly rustic rooms. There are just four of them; their whitewashed walls and wooden balconies arranged around two courtyards (one for guests only), and incorporating the remains of this beautifully restored 18th-century home. The restaurant attracts diners from all over the island, with its giant paellas, homemade gazpacho and Canarian potatoes, but it’s after they leave that this remote hotel’s charms really come into their own — book an upstairs room to stop others’ footsteps disturbing the silence. You can eat, sleep and even bathe alfresco at this eco retreat, where everything is solar-powered and most of the water comes from its own well. Choose your morning eggs from the resident chickens, frying them on the solar cooker, then spend the day beside the pool or on the nearby beach. Follow the lead of the Kaiser Chiefs and book in to the Yurt Royale to sleep under the stars in an open-air king-sized bed, or choose the Beach Yurt for the easiest access to the sands. This artistic twist on the traditional rural mansion house hotel features a grotto-like cellar with lounge and art gallery, Renaissance-style frescoes in the rooms and regal red chaise longues standing atop wooden floorboards. You’ll have a view of either the courtyard or the cactus garden from your room and there’s an outdoor pool, rooftop hot tub and bikes for hire. Breakfast can be eaten in the restaurant or on the patio, and often features fruit from the hotel’s orchard. You’ll get plenty of space at this stylish casa, where the seven cottages all have king-sized beds, a kitchen and dining area along with a terrace complete with day beds and barbecue. All but one has a bathtub, while the yurt has an open-air shower and sleeps six. Landscaped gardens lead to the heated saltwater pool (and more day beds), and an organic homemade breakfast is served in the open-sided wooden dining room. There are yoga classes and massage treatments on request. Cottages sleep up to five. This converted church surrounded by fruit and olive trees is the perfect base for exploring Lanzarote. With one double and one twin room it sleeps up to four, and has a living room, indoor and outdoor dining spaces and a fully equipped kitchen — right down to the juicer. The wine region of La Geria and the volcanic Timanfaya National Park are within minutes of your private parking space, and your swimming pool is designed to mimic the ubiquitous Manrique style you’ll see around the island. Don’t expect tourist trappings on El Hierro; accommodation here is all about what it looks out on to. At this simple hotel, that’s the dramatic coastline of the smallest Canary Island, so it’s well worth booking a room with a balcony. Service is of the receptionist-doubling-as-bartender variety, and breakfast and (optional) dinner are served across the street at Mesón del Norte restaurant. There’s a small pool (closed in winter) and it’s just a five-minute drive into the capital, Valverde. Once officially the world’s smallest hotel, this four-room stone ex-customs house stands alone atop a rocky outcrop at the coastal base of natural amphitheatre El Golfo. It’s just you and the scenery here — and more nautical memorabilia than you can shake a paddle at. Local shipwrecks have provided the raw materials for much of the restaurant’s wooden furniture, while whitewashed walls and window frames brighten up the simple volcanic stone-walled rooms, one of which has a decent-sized balcony so close to the water you could probably fish from it. The owners of this former sugar plantation have clearly spent plenty of time in antiques shops. All 32 rooms are filled with paintings, tapestries, chandeliers and statues, and you might find a wooden sleigh bed or standalone clawfoot bathtub in yours. 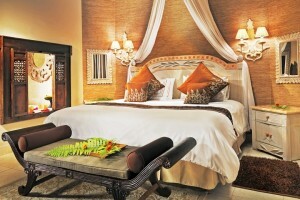 It’s far from stuffy though, with iPod docks, free wi-fi, a heated outdoor pool and spa. The El Sitio restaurant has high vaulted ceilings and views of the Atlantic to distract you from the porcelain crockery and golden clocks. Up here in the island’s far north it’s rarely warm enough for the outdoor pool, which is why the owners have also built an indoor one along with a hot tub. Rooms are simply furnished, with bright painted walls and exposed wooden beams — the best are those on the first floor, with balconies overlooking the lush ravine. The village of Barlovento is a short (but steep) walk away. Stay in for dinner at the restaurant with its traditional Canarian dishes and homemade cakes. Like an overgrown Canarian mansion house, this outpost of the parador chain is all whitewashed walls and exposed volcanic stone. However, it’s the eye-smacking views of Teide that really make it special, dominating the lush tropical gardens and small outdoor pool. Rooms are a cut above the standard simple parador style, with wooden sleigh beds (though only six rooms have doubles) and decent-sized balconies. The globes in the lounge are a nod to Columbus, who sailed for the New World from the harbour below. Book a room at this finca, tucked away in a secluded, palm-filled valley leading down to the sea, and you’ll join a community. Three all-veggie meals are served daily, buffet-style on the terrace, by the pool or under the rubber tree, and there are group meditation and yoga sessions. Rooms are simple but homely. Those with bathrooms also have sea views, the others face the garden. A real retreat. 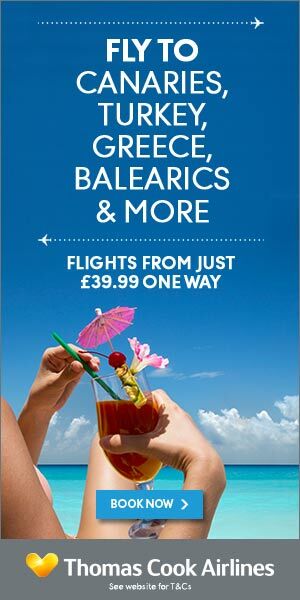 British Airways (britishairways.com), Easyjet (easyjet.com), Jet2 (jet2.com), Monarch (monarch.co.uk), Ryanair (ryanair.com) and Thomas Cook (thomascookairlines.com) fly from the UK to Tenerife, Gran Canaria, Lanzarote and Fuerteventura. Expect to pay about £200 return, plus baggage. Naviera Armas (navieraarmas.com) and Fred Olsen (fredolsen.es) operate ferries from Tenerife to La Palma and La Gomera. Naviera Armas also serves El Hierro from Tenerife. Prices start at about £50 return for a foot passenger.